$3 or Less Amazon Jewelry Deals! 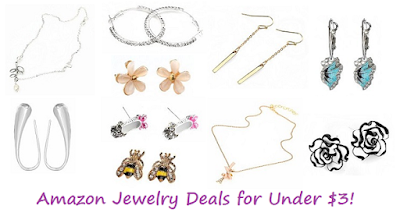 Below you'll find 10 pretty pieces of jewelry that all cost $3 or LESS over at Amazon! Even better, shipping is FREE on all of them!